Outlines the path to operational success and financial stability. SBHCs should develop a "living" business plan that is re-visited regularly, identify who is responsible for carrying it out, and specify goals, objectives, action steps, and a timeline. Although the elements of sustainability plans can vary, SBHCs should anticipate their plan's evolution as their services mature. Leveraging lessons learned, successes, and challenges should lead to the incorporation of new approaches or ideas to sustain a service, a program, or a program's activities. Create a shared vision with partners, community leaders, and other key stakeholders. Incorporate sustainability activities (e.g., practice management strategies) into daily program operations to achieve optimal productivity and maximize reimbursements. 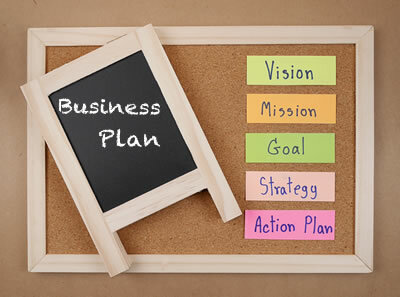 Incorporate measures of success into the business plan. The Center for Oral Health (CA) and Integrated Health Services, Inc. (CT) developed strong business plans to enhance program sustainability. Both grantees incorporated DentaQuest Institute Safety Net Solutions' practice management strategies to achieve optimal productivity and maximize reimbursements. Summit Community Care Clinic (CO) worked with a consultant to adapt and improve its Dentrix system for collecting, measuring, and improving clinical outcomes and ensuring program sustainability. As a result, the SBHC was able to seek reimbursement from Medicaid and the state Children's Health Insurance Program and was credentialed to bill private insurance for oral health care services.